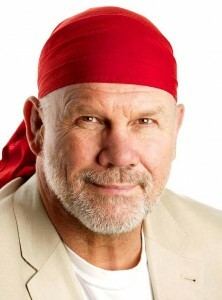 Peter FitzSimons is a journalist with The Sydney Morning Herald and Sun-Herald. He is also a regular TV commentator, a former radio presenter (very successfully, with Mike Carlton on Radio 2UE) and is also a former national representative rugby union player. Peter is the author of 25 books, including Tobruk, Kokoda, Batavia, Mawson and the Ice Men of the Heroic Age, and biographies of Nancy Wake‚ Kim Beazley‚ Nick Farr-Jones‚ Les Darcy, Steve Waugh and John Eales. Peter is Australia’s biggest-selling non-fiction author of the last ten years. He was named a Member of the Order of Australia for service to literature as a biographer, sports journalist and commentator, and to the community through contributions to conservation, disability care, social welfare and sporting organisations. Peter’s latest title ‘Ned Kelly’ is due to release soon. In this book Peter tells fascinating stories of Australian legend of Ned Kelly. Thief, remorseless killer or criminal mastermind? Hero, Robin Hood or political revolutionary? Love him or loathe him, Ned Kelly has been at the heart of Australian culture and identity since he came out fighting, dressed in bulletproof iron armour made from farmers’ ploughs. Now Peter FitzSimons is telling the story of this most iconic Australian. Hero or criminal? Fitzy’s weighed up the arguments and made his decision! Historians still disagree over virtually every aspect of Ned’s brushes with the law. Did he or did he not shoot Constable Fitzpatrick at their family home? Was he a lawless thug or a crusader against oppression and discrimination? Was he even an Australian republican channelling the spirit of Eureka? Peter FitzSimons has examined this part of Australia’s history and retold it as only he can – with wit, humour and passion – bringing the Kelly story to life! Peter FitzSimons lives with his wife, Lisa Wilkinson, and their three children in Sydney. The author talk will be held at Parramatta Library, on Monday 4th Oct 13, from 6pm to 7pm. Booking required and ring 98065159. 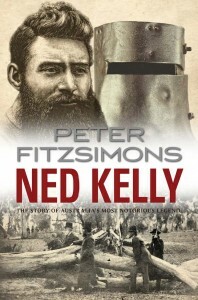 This entry was posted in Australian Authors, Biographies, New Arrivals, Non Fiction, Recommended Reading and tagged Author, Author Talk, Ned Kelly, Parramatta City Library, Peter FitzSimons, Writer by admin. Bookmark the permalink.